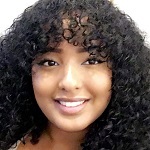 Neima Ali Ahmed is a freshman at the University of Washington who intends to graduate with a bachelor’s degree in Law, Societies, and Justice. She plans to go to law school as her experience with witnessing wrong doings in the Criminal Justice System inspired her to study law and the history of African Americans, in hope to start her own Innocence Project in the future. She is dedicated to learning about African American history as she is an advocate for fighting against injustices that impact African Americans.